Adam represents injured workers in Workers’ Compensation and Social Security Disability/SSI. Recently, Adam authored the legal brief used to score a major victory for injured workers; successfully persuading the Pennsylvania Commonwealth Court that a section of the workers’ compensation Act – used to limit workers’ benefits – was unconstitutional. He received his B.A. from Dickinson College in Carlisle, Pennsylvania in 2009, where he majored in Political Science. While at Dickinson College, Adam studied at the London School of Economics. Before going to law school, Adam spent two years in Washington, D.C. where he worked for two separate Members of the House of Representatives. Adam then went on to receive his law degree from the Duquesne University School of Law in 2014. During his time at Duquesne Law School, Adam studied the Chinese legal system in Beijing, China. Adam is a co-founder of the “Visionaries”, a group at the Community Foundation of Westmoreland County dedicated to educating individuals in their 20’s, 30’s and 40’s about local philanthropy and community foundations. 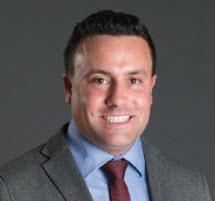 Adam serves as a board member of the Pittsburgh Downtown Community Development Corporation and Laurel Legal Services. He is also a passionate advocate of Mental Health America’s Westmoreland County chapter. Adam grew up in Westmoreland County and currently lives in Downtown Pittsburgh. When he is not practicing law, he enjoys running, boating, golf, politics and watching the Pittsburgh Steelers, Penguins and Pirates.